Our online store is bursting at its spine with all of our new titles launched at the recent NGV Melbourne Art Book Fair. What's more, we are offering FREE POSTAGE WORLDWIDE until the 10th of May. Simply enter the code PAPERANIMALS during checkout. For "a coat of feathers [to help you] stay in the air indefinitely," pick up a copy of Winged. For mammals scampering, climbing, purring, add a copy of Limbed featuring thirty-two Salvaged Relatives to your cart. Run your fingers through the fine and ordered lines of Pattern, a zine made in collaboration with Deidre Brollo, Marian Crawford, Elaine Haby, and Deborah Klein. Marvel at a softness of mice ears, polished steel buttons, hoops, a globe on a desk and other round things in Round, circle, dot. 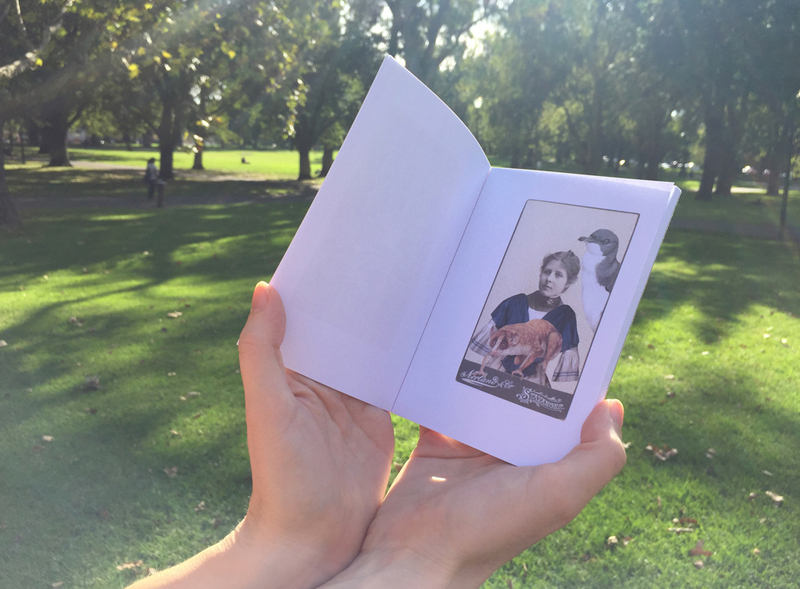 Acquire a song of paper birds, and purchase a copy of the printed edition of Prattle, scoop, trembling.